They'll be available exclusively on the Epic Store, as you may have guessed. The games, which aside from Heavy Rain include Beyond: Two Souls and Detroit: Become Human, have been PlayStation exclusives until now. Epic has done this before, announcing late last year that former PlayStation exclusive Journey will release via the Epic Store (it's still listed as 'coming soon'). 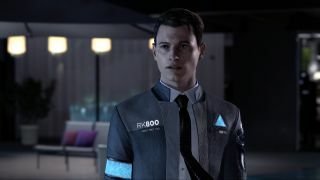 While these three games receive as much or more criticism than they do praise, and Quantic Dream itself has been accused of harboring a 'toxic' environment, they have a strange, naïve quality that has earned them and studio founder David Cage a fanbase. These aren't the only games we learned are coming to the Epic Games Store today: The Outer Worlds, Control, and more will be releasing on the platform, which Epic says has now accrued 85 million user accounts. "The Epic Games store will make many hundreds of millions of dollars for Epic partners this year," said Steve Allison, head of the Epic Games Store.